Islamic State Caliph Abu Bakr Al-Baghdadi has just issued a secret directive to the approximately 6,500 foreign adherents fighting in Iraq and Syria, especially in the defense of Mosul. 2. Prepare to die as martyrs in the defense of Mosul and secure your place in Paradise. Al-Baghdadi’s action was prompted by the deaths of two high-profile Dutch ISIS commanders at key posts in the eastern Mosul district of Muhandiseen. One of the two was Taes Bill Monti aka Abu Omer Holandi, 41, who led the ISIS Inghimasi force (those who fight to the death) and was killed in clashes with the Iraqi Army. He was head of the organization’s foreign contingent and close to the caliph. It is estimated that 100-130 Dutch terrorists are among ISIS ranks in Iraq and Syria. 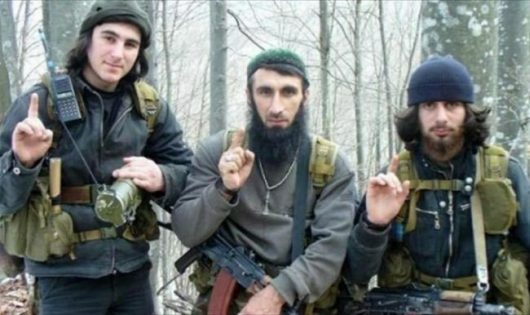 In the past three months, ISIS lost another three prominent fighters: Abu Mohammed Adnani from Syria, and two Tunisians, Abu Bakir Hakim Tunsi and Zeyad Kharufa. Following these losses, Al Baghdadi wielded an axe against his tope command. He fired 62 heads of ISIS units manning the various fronts in the Iraqi city, accusing them of “abandoning the positions and sectors in their charge to enemy forces. They were replaced mainly by Iraqis. The ISIS leader’s twin purges of his top command are the first signs that the Islamic State may be starting to crack under the pressure of the US-backed Iraqi army’s offensive to liberate Mosul, which is going into its third month. Al-Baghdadi appears to have counted on the offensive fading after some weeks under the weight of crippling casualties inflicted by droves of suicide bombers, snipers and bomb traps. However, the US command countered by injecting every few weeks a fresh batch of hundreds of Iraqi fighters trained in urban combat. They were thrown into battle – even before they were sufficiently prepared. This tactic took ISIS’ local commanders by surprise at a time when their rank and file was at its lowest ebb of stamina and badly in need of a respite. Al Baghdad is also fighting a rearguard battle inside the radical Islamic movement: He sees the ISIS following shrinking whereas the rival Al Qaeda is enjoying rising numbers of supporters. Al Qaeda leader Ayman al-Zahahiri is crowing over the Caliph that he warned him against leading ISIS into grabbing large swathes of territory in Syria and Iraq for a Muslim Caliphate, because this would inevitably bring the Americans down on his head to recover the lost territory. In September 2015, he sent ISIS an olive branch in two messages, which at the same time did not neglect to denigrate Al-Baghdadi’s caliphate as illegitimate. In the third week of August 2015, Zawahiri called on the world’s Muslims to reject the Islamic State group and throw their weight behind….the Afghan Taliban. “The liars insist upon their falsehood to the extent that they claimed we do not denounce Shiites,” he said in a message released by Al Qaeda’s media arm. Zawahiri’s pious sermonizing is unlikely to cut much ice with ISIS, whose “atrocities” in Baghdad and other place will most likely intensify as the ISIS chief loses his territorial momentum.